Texas has long been considered a very car centric city, with cars and oil very much ingrained in the state's culture and economy. Planning in Texas is vastly different to the previous cities we have travelled to. Texas has been the first instance of seeing large scale urban sprawl through every city we visited. Texas has a lack of coherent planning, as can be seen from the many parcels of undeveloped land in between the sprawl. This was not helped by the amount of land dedicated to the automobile. All Texan cities we visited had an extraordinary amount of ground surface car parking in largely sought after areas. In some parts of the interstate, there was up to five layers of bridges. It could be seen from the amount of time the bus spent in heavy congestion, that even with the large amount of road network, Texas still cannot keep up with demand. Therefore other forms of transport need to need to be seriously considered, like in Houston, where a dedicated bus lane is being implemented. It seems like Texas’s solution to heavy congestion is more freeways, which is terrible and not at all sustainable for the future. Texas’s planning appears to be in complete disarray with very unclear land uses. The counties have very little control over land use, and this is very problematic when looking at how bad the sprawl already is especially along the intestate. Texas is the state most in need of implementing a growth boundary to heavily reduce sprawl. This needs to be done before Austin, Dallas, Fort Worth, and Houston morph in to one low density mega city. Steve and Rebecca showed us a completely different side of Austin. A community centric, green, climate conscious neighbourhood that showed the state is changing with times to be more sustainable, such as the cities motto ‘keep Austin weird.’ This form of housing looked to incorporate cycling and walking as the more popular forms of transport, showing that not all of the state is entrenched in the car dominant ideology. The one exception was San Antonio. Not as many car parks and more aesthetic streetscapes made the city appeal more old timely. The downtown was more clearly defined, and less based on car dominance. Although we didn’t get to see the whole city, the parts we did see felt less in your face and more laid back. San Antonio’s downtown area is great, however not seeing how bad the city's sprawl is, it cannot be said if the city is going the same way as most other Texan cities. Texas is definitely more anarchy than innovation, however the cities still work - just with more congestion. The land use is ad hoc and there are very few controls. Urban sprawl and car dominance are problems that both need addressing in the near future to stop the state becoming the worst example of sprawl in America. If the state's planning continues the way it is going, then the whole state will become a mass centre of sprawl. The state's culture needs to change as well. If change is to be effectively carried out, the population has to want to change its habits. However in Houston, there were small amount of change presents with a dedicated bus land going in and the retention of the large parkway in close proximity to the city centre. It was a real eye opening experience seeing Texas, and then hearing Australians complain about congestion (considering how bad it is in Texas). Prior to arriving at Portland, I had high expectations of their public transport infrastructure which very much interested and impressed me during the research project. Although the weather did not permit for a flawless first time experience riding on the light rails, the following days in Portland made it clear to me why their public transport system is considered to be of a high class standard. During the meeting at the TriMet office, the driving concept of “.. not about moving people, but rather about moving communities”, was a planning concept that did not really stand out to me during the research project. After now having experienced the public transport infrastructure myself, it is much more clear to understand and see the deliberate decisions made by TriMet in providing a public transport network that services communities rather than just individual people. Building on this however is the concept of “transparency”. Although I gained a basic understanding of the government’s ‘transparency’ during the research project, First Stop Portland consolidated this unique ideology of a governing body being completely vulnerable to its residents. 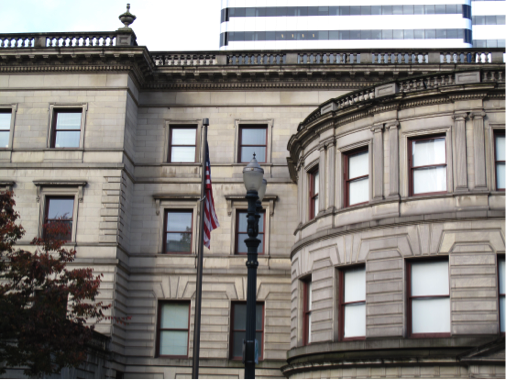 What stood out the most to me however was the level of ‘transparency’ that actually takes place in governing Portland. The idea of ‘transparency’ as a tool to generate citizen trust through civic engagements such as convening stakeholders, developing agreements and creating shared goals across various sectors just appears to be a risky task that provides the government with a large beneficial result if executed correctly. However, the one lesson that I believe had most value behind it is the concept of risk “intentionality”. Nancy Hales’ argument of having an urban planning methodology that is essentially risk taking is an urban planning method that I believe has many merits to it, after all as she continued to argue, “inertia to change will reduce over time, it's just a matter of taking the first step”. Having never visited the Pacific Northwest region of the US, I was struck by the incredible culture and values at play in Portland. Whilst I was intimately aware of the innovative planning practices and related governance that took place throughout the late twentieth century, I was surprised by just how important and relevant planning was to the lives of many Portlanders, and the esteem that perceptions of ‘best practice’ planning was held in both municipal government and Portland residents alike. This was evident in several aspects of my experiences in Portland. Firstly, listening to the city mayor Charlie Hales discuss his own experiences with planning and his fervent belief that municipal government has a strong and distinct role to play in global affairs opened my mind to the true global impact planning can have. It is really about more than structure plans and subdivisions for just one city - it is about building a culture that can influence the world over. On top of this, listening to Mayor Hales, and indeed many other Portlanders speak so positively and passionately about their streetcar and light rail system confirmed my earlier belief that the approach taken to public transport in Portland is a progressive one. The ‘trickle down’ approach taken in Portland with regards to all infrastructure of ‘build it and they will come’ proves far more effective and liveable than the common Australian approach of waiting until services are needed if not demanded. It is Portland’s culture - of biking, of healthy and sustainable eating, of love for their city and unwillingness to compromise its progress and values - that has been the most pleasant surprise to me. Simply put, Portland matters to Portlanders, and they simply will not accept poor future progression for the city. I have been impressed by just how layered a city’s culture really can be. 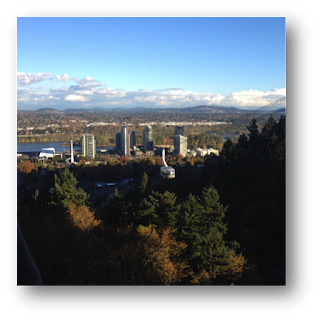 In doing the research for the first assessment for this course, I discovered the history of the state of Oregon, the City of Portland, and its components such as transport, its people, the economy and the environment. 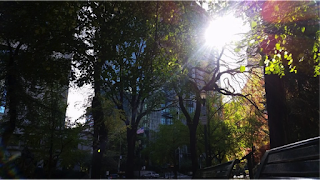 After completing our visit to the City, many of the themes and details explored were evident and, in some cases, were more evident then what was discovered through my research. Contrary to the others, I was not surprised by the population of homeless people on the streets in Portland. However, what did surprise me a great deal was the lack of financial and overall support provided to war veterans. I read a sign that a homeless gentleman was holding up as he sat by the sidewalk, which stated he was previously a veteran and did not have money or a place to sleep. I assumed he was being dishonest, but soon found out, from the Mayor, that he most likely was previously a war veteran. The Mayor confirmed that a number of initiatives to deal with this problem would occur, but these were only short term and temporary in nature. The City of Portland, although considered a benchmark city, given their consideration of the environment and accommodating a growing population, buildings were no more than approximately 10 stories, if that. Many of the buildings were beautiful to discover, and were more consistent with existing streetscape and surrounding buildings. The grid pattern of Downtown was easy to navigate, and made similarities between Portland and Melbourne (especially the weather! ), become evident. Understanding the evolution of the system beginning from the influx of freeways and the first plan for Portland in 1972, to the City that now has a light rail network, a street car system, rail and a bus system, was interesting and inspiring. The transport system hopes to accommodate 725, 000 people over the next 20 years and plans to shift its focus slightly, to investing in the bus transit systems since its recent opening of the Orange Line (MAX). I was blown away by the light rail stop infrastructure and its grandeur and green initiatives. I was appalled by the one-way operation of the tracks and I felt the negatives outweighed any positives. 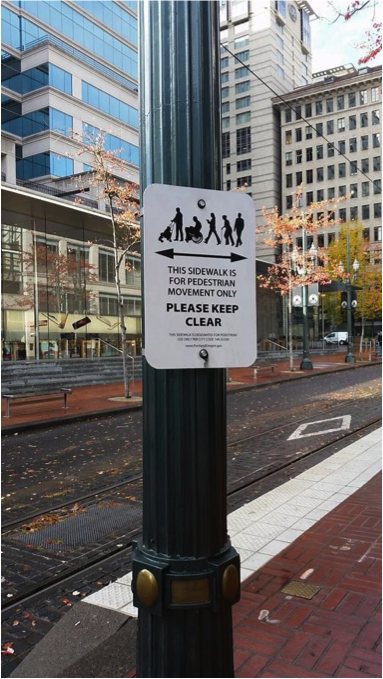 According to Bob from TriMet, there is a pull away from soft infrastructure, communicating transit information to commuters, and a focus on technological advances to take the place of signage. I felt this would isolate and segregate those that may not be able to rely on technology, as well as place people at risk in emergencies when technology is not an option. The system overall was great. It was functional, on time, and tickets seemed to be relatively cheap. What also surprised me were the funding structures and avenues, which I didn’t think would interest me when doing the research for assignment 1. To hear about a community developing initiatives and then raising money to see them through, was astonishing. I was also quite amazed at the level of community involvement in key planning decisions, even dating back to the late 1860’s.The taxing system was also extremely different to Melbourne. To hold land values, then claim on the profit margin, was different. To tax gas for road and transport based projects was also an interesting way to collect funds, but these measures were understandable given Portland did not have a sales tax. Many of the key speakers saw this as a problem to bettering the city given the scarcity of budget. The two-day program was excellent, exceeded my expectations and challenged my assumptions. I was astonished at the light rail stop infrastructure, interested in the funding structures of various projects and impressed by the attitudes of the Portland people to help make their city a more sustainable, functional and profitable place to live. Through completing the pre-departure report for this subject it became apparent that Portland’s planning success is not a recent phenomenon but a planned process of transformation that began with a conscious choice to place planning in the social realm above the economic and political debate. A combination of visionary leadership, innovative and enforceable urban plans and policies, systematic citizen involvement and an appreciation for comprehensive decision making resulted in Portland becoming the exception to the apparent failures of other American cities. A large proportion of this can be attributed to the ethos of participation and community involvement developed through the good governance structures in place. Throughout our visit to the ‘capital of good planning’ many of our presenters emphasised similar objectives and shared a wide consensus on a range of key issues related to improving all modes of transport, sustainability targets, the importance of community participation and investment in local businesses. They also consistently emphasised the relationship between the design and implementation of effective policy and the central community role in this process. Prior to any major or minor changes within the city, there is an extensive community consultation process. 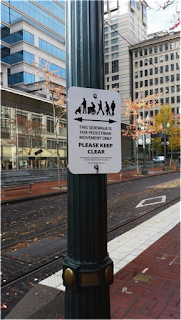 This is recognised by many decision makers within organisations such as TriMet and the City of Portland as a non-negotiable, as any change has the ability to affect the connectivity, interactions and liveability of the public space. TriMet’s Robert Hastings asserted that it is fundamentally a ‘new normal’. 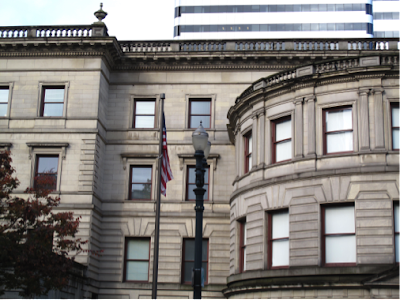 This governance system ultimately has implications for the region beyond Portland. The maintenance of the urban growth boundary despite constant challenges, the commitment to recent transport initiatives (such as the extension of the MAX Light Rail system) and the transparency of the monitoring and evaluation of sustainability initiatives have the capacity to improve the city as well as its broader context.